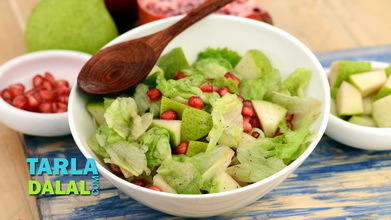 A horde of delicious fruits mingle with fresh crunchy lettuce to provide not just a tasty salad, but one that overflows with nutrients such as vitamin C and fibre. 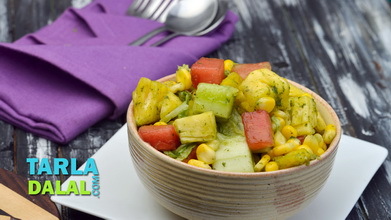 A refreshing dressing that smartly combines the tanginess of lemon with the soothing sweetness of honey, makes every mouthful of this salad a sheer pleasure. 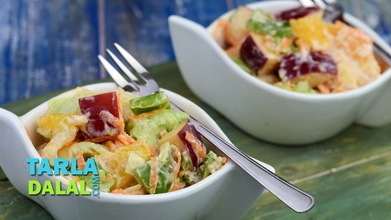 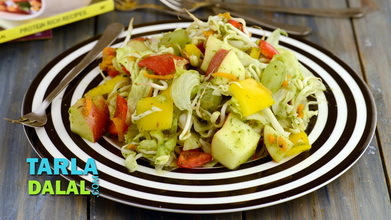 Together with the lemony dressing, this salad qualifies to meet three-quarters of your daily requirement of vitamin C. Indeed, the Fruit and Lettuce Salad is a great tonic for your immune system. 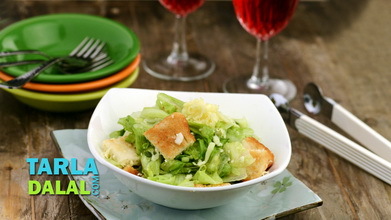 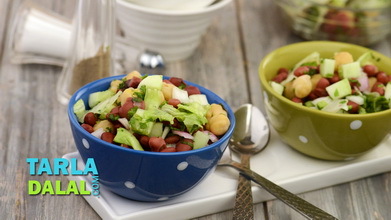 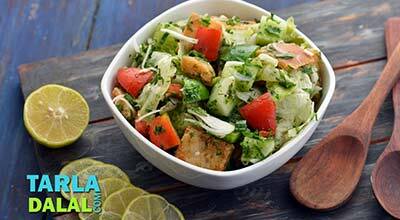 Combine all the ingredients for the salad in a bowl and mix well. 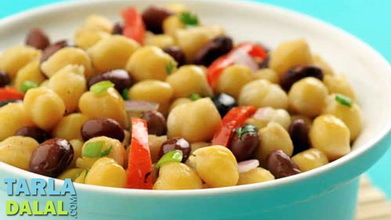 Garnish with almonds and serve immediately or refrigerate for at least 1 hour and serve chilled.